You can find a lot different arc lamps at the market for today. This time we’d like to introduce for you unusual lamp. 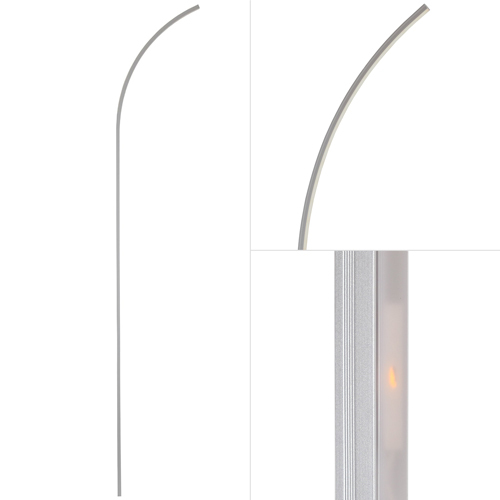 The Sparq M LED Arc Wall Lamp by Brightech is a symbioses of two different types of lamps: wall lamp and arc floor lamp. It has contemporary and unusual design which is able to complement and add zest to your decor. The letter M in the name of this arc wall lamp means Minimalism. And it’s hard to argue with that. 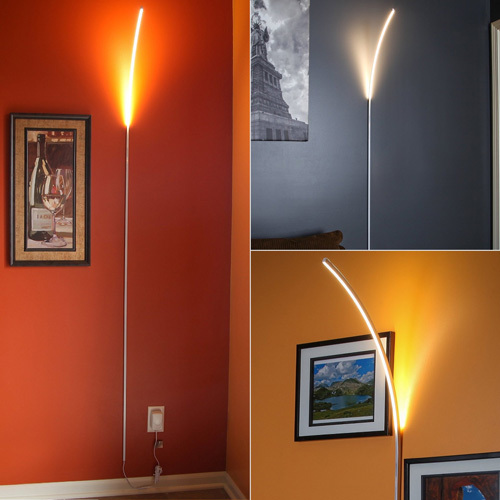 The tall, wall-mounted and curved LED lamp will be a bright piece on any wall. The Sparq M LED Wall Lamp will never be overheated because it has a LED bulb as the main source of light and will remain cool even after several hours of continuous operation. The color temperature is 3,000 Kelvin. It consumes only 12 watts due to the fact that this wall lamp by Brightech uses LED technology. So if you care about energy saving, this product would be a good choice for you. If you are looking energy-efficient lamps you should check another one similar and great contemporary floor lamp by Brightech. Fourth press turns off the lamp. Despite its size, it provides a fairly warm white light and it is perfect for reading or a long pleasant evening out with your loved one. This Wall Lamp by Brightech has a 3-year warranty. Which is pretty good for such product. The price of the Sparq M LED Arc Wall Lamp is impressive. For today you can buy it for about $49.99. It is not too much for the quality and modern look of the lamp. So if you are looking for the best modern wall lamp this one can become such one. If you have any questions or want to share your review about this product fill free to do this through the form below.